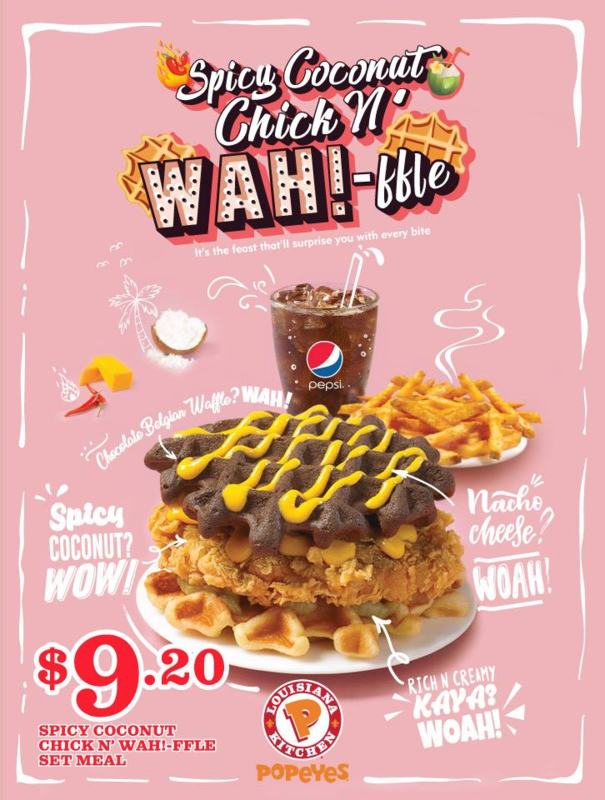 “Wah” is right, when it comes to Popeyes’ new Spicy Coconut Chick N’ Wah!-ffle. 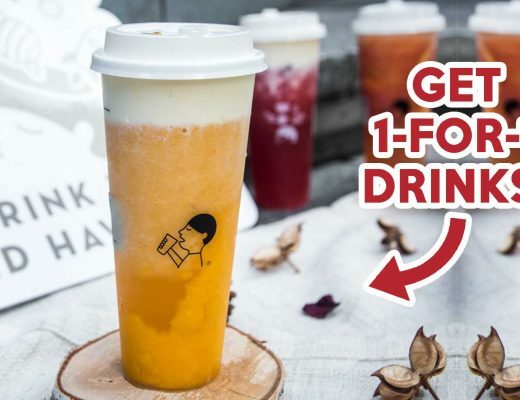 While other fast food joints are coming up with safe creations like Thai milk tea ice-cream and ma la chicken, Popeyes decides to go all out and surprise us with this crazy new dish. 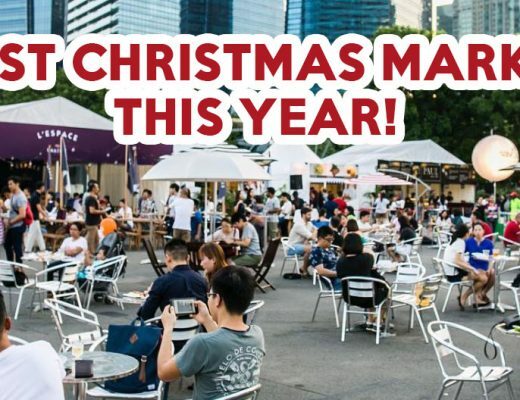 Combining a hodgepodge of flavours together to form this waffle burger, you will find a chocolate Belgian waffle drizzled with nacho cheese, a thick piece of spicy coconut chicken patty, followed by a layer of luscious kaya and a regular waffle. We have no idea how they came up with this concoction, but it’s definitely a legit item on the menu. It’s priced at $9.20 for a meal with drinks and fries, which is rather expensive for something so experimental. Craziness aside, a netizen by the name of Gary Chiang mentions that it doesn’t taste so bad. In fact, he says it reminds him of nasi lemak with sambal chilli, thanks to the combination of kaya and spicy chicken. I have yet to taste it, so I will save my judgement until I actually have a bite of this crazy dish. Who knows, this might be a game changer, and before you know it, everyone else will start adding chocolate and kaya to their burgers. 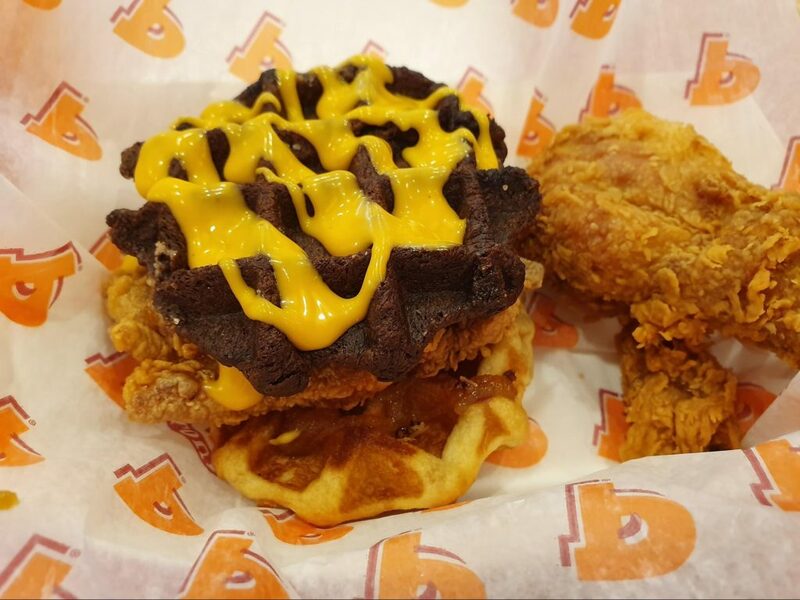 After all, I’m sure when waffles and chicken first appeared, many were skeptical about how maple syrup would go well with the deep fried chicken. But the sweet and savoury blend proved to be a winner, and it’s now a Louisiana staple. 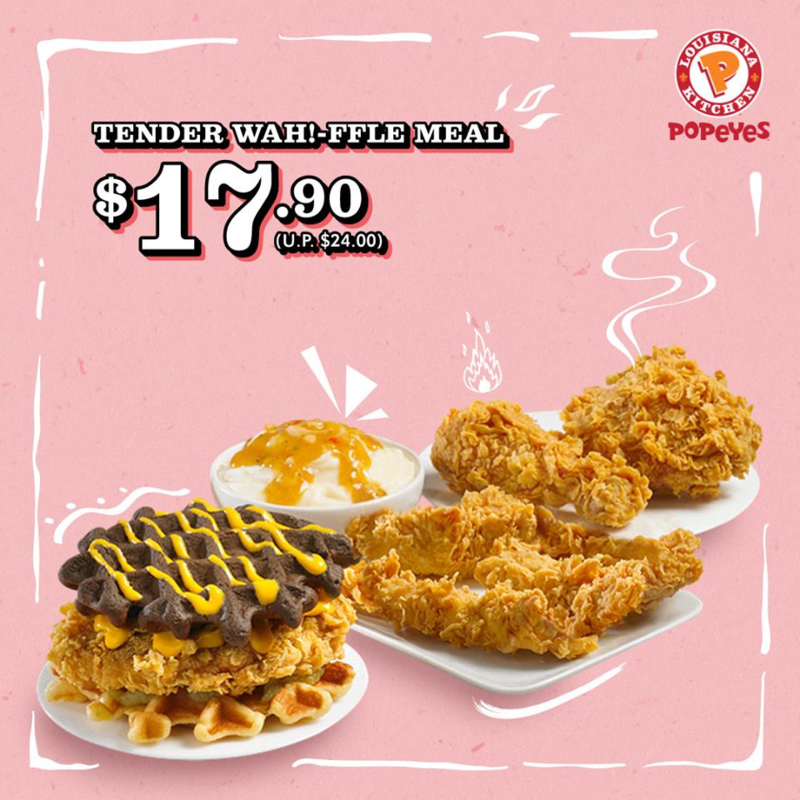 If you wanna try this, but still want some proper fried chicken, you can get Tender Wah!-ffle Meal to share at $17.20. This comes with the Spicy Coconut Chick N’ Wah!-ffle, mashed potatoes, chicken tenders and two pieces of chicken. If you prefer something more conventional, try Shake Shack’s Pandan Shake instead. 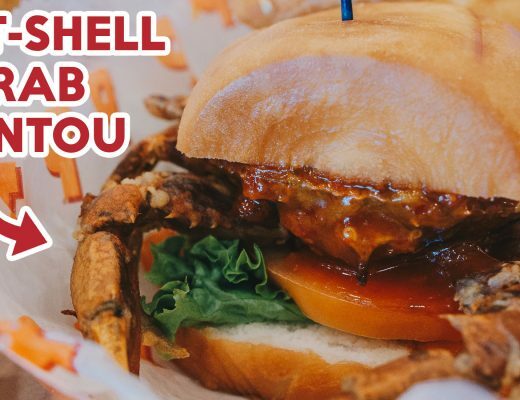 The American burger chain will open at the new Jewel Changi Airport on 17 April.